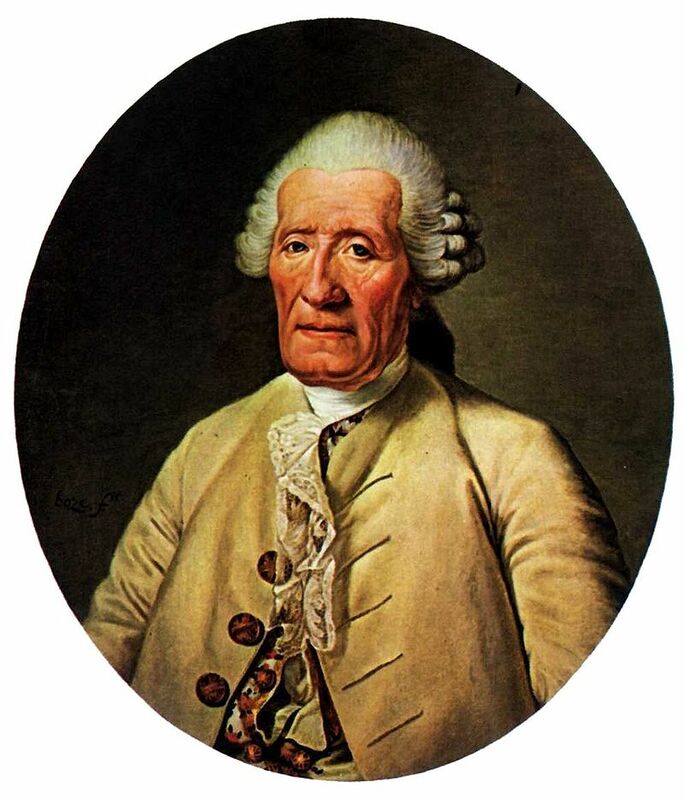 Today is the birthday (1709) of Jacques de Vaucanson, a French inventor and artist who was responsible for the creation of impressive and innovative automata and machines such as the first completely automated loom. He is credited sometimes with building the world’s first true robot, hence the “father of robotics,” but this claim is overreaching, in my humble opinion. His loom, however, was ingenious and revolutionary, and the principles on which it operated led eventually to the development of computers. He was born in Grenoble, France in 1709 as Jacques Vaucanson (the particle “de” was later added to his name by the Académie des Sciences). The tenth child, son of a glove-maker, he grew up poor, and in his youth he reportedly aspired to become a clockmaker. He studied under the Jesuits and later joined the Order of the Minims in Lyon. It was his intention at the time to follow a course of religious studies, but he regained his interest in mechanical devices after meeting the surgeon Le Cat, from whom he would learn the details of anatomy. This new knowledge allowed him to develop his first mechanical devices that mimicked biological vital functions such as circulation, respiration, and digestion. At just 18 years of age, Vaucanson was given his own workshop in Lyon, and a grant from a nobleman to construct a set of machines. In that same year of 1727, there was a visit from one of the governing heads of Les Minimes (an important marina in La Rochelle). Vaucanson decided to make some androids. The automata would serve dinner and clear the tables for the visiting politicians. However one government official declared that he thought Vaucanson’s tendencies “profane,” and ordered that his workshop be destroyed. In 1737, Vaucanson built The Flute Player, a life-size figure of a shepherd that played the tabor and the pipe and had a repertoire of twelve songs. The figure’s fingers were not pliable enough to play the flute correctly, so Vaucanson had to glove the creation in skin. The following year, in early 1738, he presented this invention to the Académie des Sciences. At the time, mechanical creatures were a fad in Europe, but most could be classified as toys, and de Vaucanson’s creations were recognized as being revolutionary in their mechanical lifelike sophistication. Later that year, he created two additional automata, The Tambourine Player and The Digesting Duck, the latter considered his masterpiece. The duck had over 400 moving parts in each wing alone, and could mimic flapping its wings, drinking water, digesting grain, and defecating. 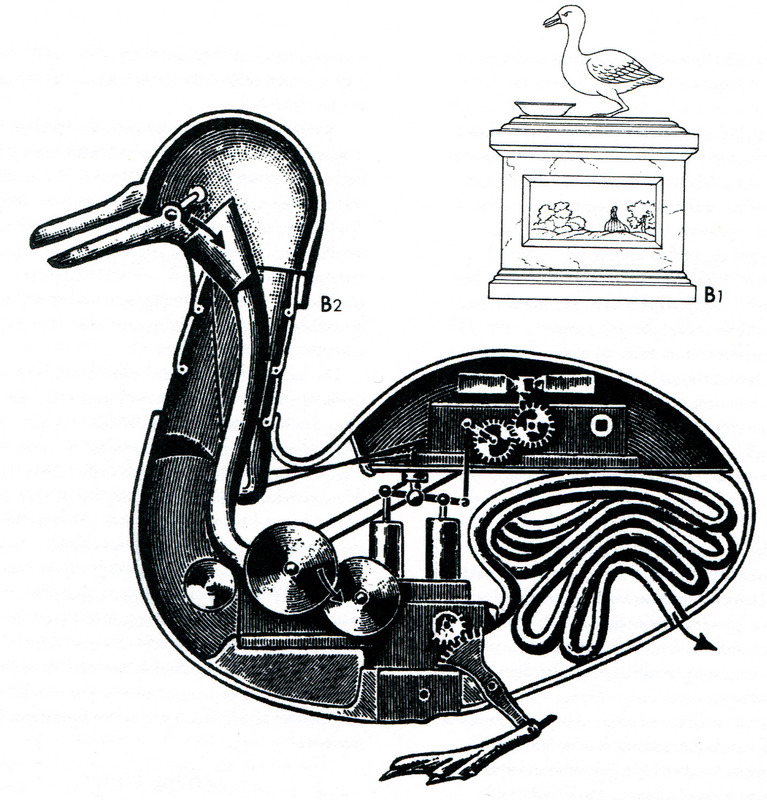 Although Vaucanson’s duck supposedly demonstrated digestion accurately, it actually contained a hidden compartment of “digested food,” so that what the duck defecated was not the same as what it ate; the duck would eat a mixture of water and seed and excrete a mixture of bread crumbs and green dye that appeared to the onlooker indistinguishable from real excrement. Although such “frauds” were sometimes controversial, they were common enough because such scientific demonstrations needed to entertain the wealthy and powerful to attract their patronage. Vaucanson is credited as having invented the world’s first flexible rubber tube while in the process of building the duck’s intestines. Despite the revolutionary nature of his automata, he is said to have tired quickly of his creations and sold them in 1743. In 1741 he was appointed by Cardinal Fleury, chief minister of Louis XV, as inspector of the manufacture of silk in France. He was charged with undertaking reforms of the silk manufacturing process. At the time, the French weaving industry had fallen behind that of England and Scotland. Vaucanson promoted wide-ranging changes for automation of the weaving process. In 1745, he created the world’s first completely automated loom, drawing on the work of Basile Bouchon and Jean Falcon. 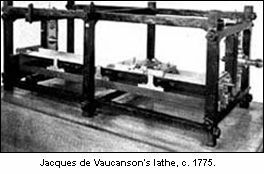 Vaucanson was trying to automate the French textile industry using punch cards to control looms – a technology that, as refined by Joseph-Marie Jacquard more than a half century later, would revolutionize weaving and, in the 20th century, would be used to input data into computers and store information in binary form. His proposals were not well received by weavers, however, who pelted him with stones in the street and many of his revolutionary ideas were largely ignored. He invented several machine tools, such as the first fully documented, all metal slide rest lathe, around 1751 (possibly later). It was described in the Encyclopédie, ou dictionnaire raisonné des sciences, des arts et des métiers. In 1746, he was made a member of the Académie des Sciences. Jacques de Vaucanson died in Paris in 1782. Vaucanson left a collection of his work as a bequest to Louis XVI. The collection would become the foundation of the Conservatoire des Arts et Métiers in Paris. His original automata have all been lost. The flute player and the tambourine player were reportedly destroyed in the Revolution. 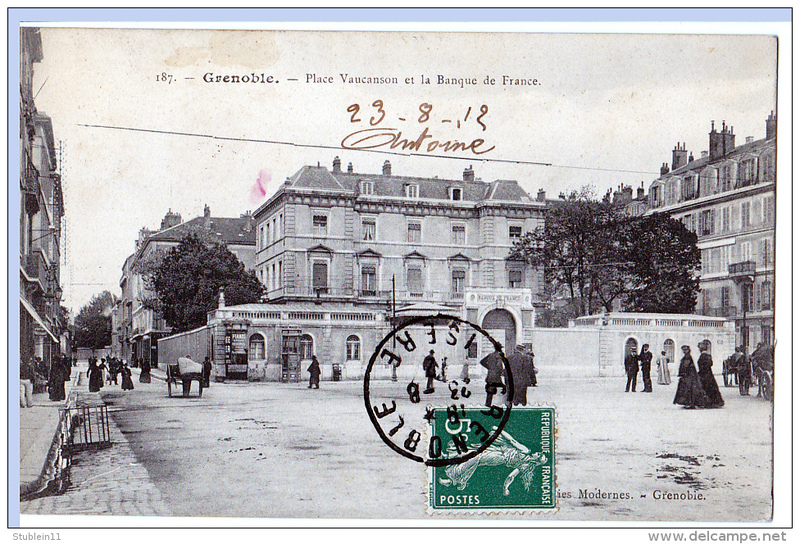 Lycee Vaucanson in Grenoble is named in his honor, and trains students for careers in engineering and technical fields. 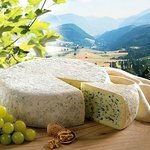 Grenoble, Vaucanson’s home, is the center of a well-known terroir cuisine that includes a local species of walnut, several cheeses including Le Bleu du Vercors Sassenage and Saint Marcellin, Chatreuse liqueur, made from 130 locally produced plants and whose recipe is known only by 2 Carthusian monks at a time, and wines made from Chardonnay, Jacquère and Persan, Verdesse and the very local Etraire de la Dhui grapes. Well worth a visit. 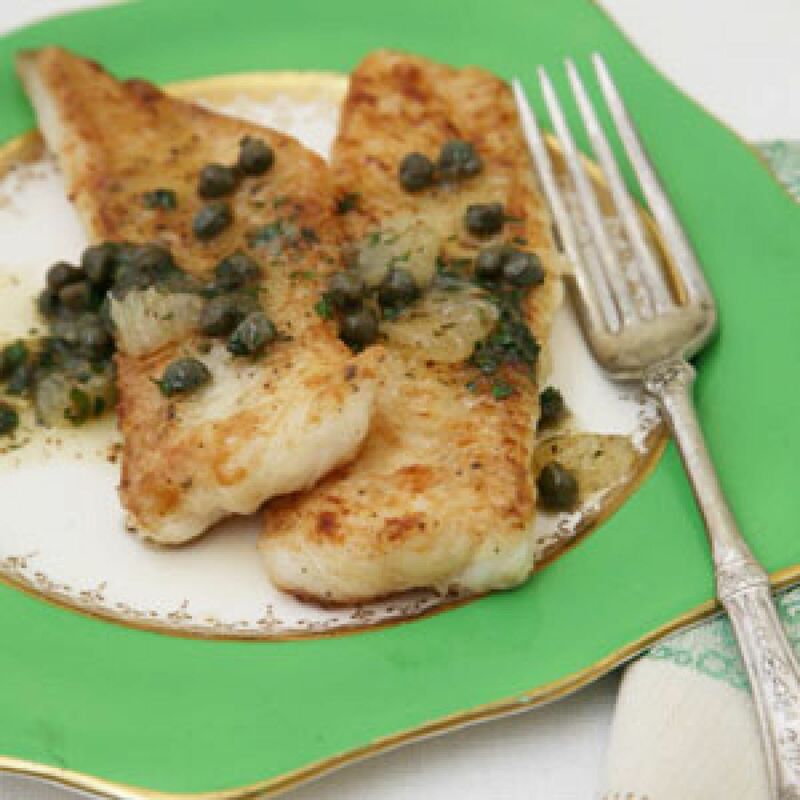 For simplicity I am going to give to you sauce Grenobloise, made with capers, lemon, and butter, and used primarily for white fish. I love this sauce and make it all the time. Begin with a peeled lemon. Using a paring knife, cut the white pith away from the lemon. 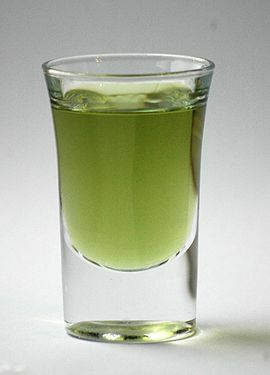 Remove segments by slicing between the membranes. Cut the segments into ½” pieces. Heat some good quality farm butter in a heavy skillet and keep cooking until it turns brown. Be careful because you do not want it to blacken. Remove the skillet from the heat and stir in the lemon pieces, some drained capers, and chopped fresh parsley. The proportions are really up to you. Stir the ingredients to incorporate. Pour the sauce over white fish, chicken, or pasta.